Today, more and more people expect to feel at home wherever they are. Even at places where there is no grid power available they still want their food and beverages perfectly chilled. 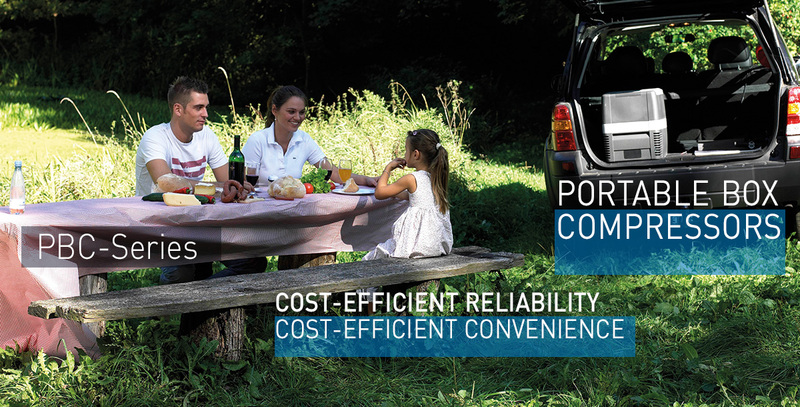 This quest for mobility has developed a market for portable, electric cooling boxes. 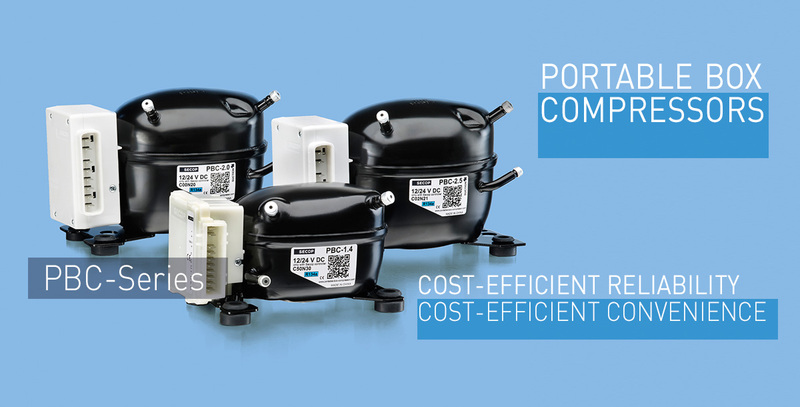 Battery-powered "PBC" compressors from Nidec GA Compressors are an ideal choice for this application. 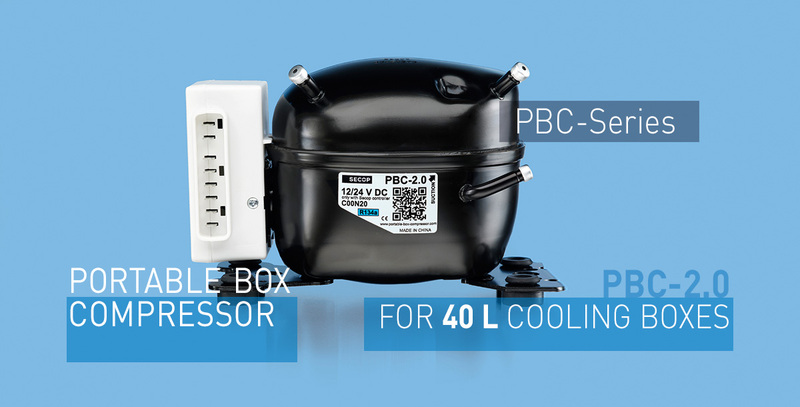 Specially designed for maximum efficiency and reliability, Secop "PBC" compressors make it easy to provide leading class mobile fridges. One thing is their small, compact size and weight – an essential in modern innovation. Another thing is the optimized, low noise motor which ensures outstanding performance and provide an extra degree of mobile luxury. 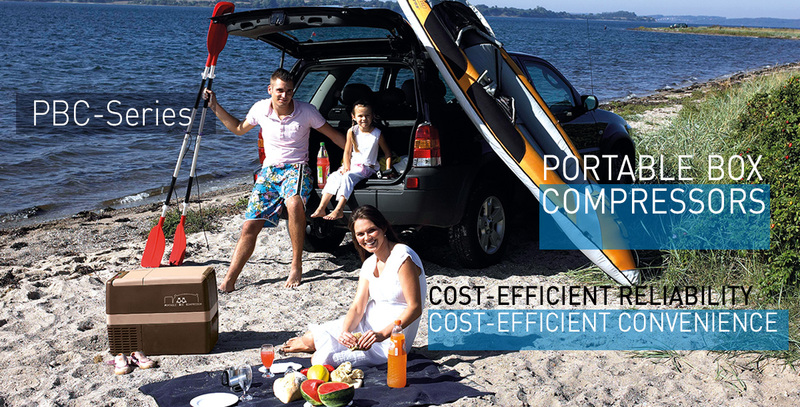 In short, these compressors are customized to add cool and cost-efficient convenience to every holiday, picnic or travelling situation. 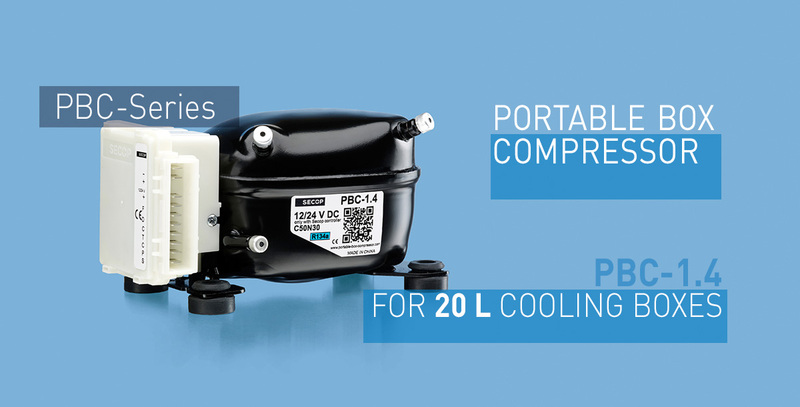 The "PBC" compressors are universal for 12 and 24 V DC power supply and cover a capacity range from 65 to 155 W, ASHRAE at -10 °C (low and medium back pressure applications, cooling boxes from 20-70 liters). The capacity is variable through motor speed regulation (PBC-2.0/2.5 only). 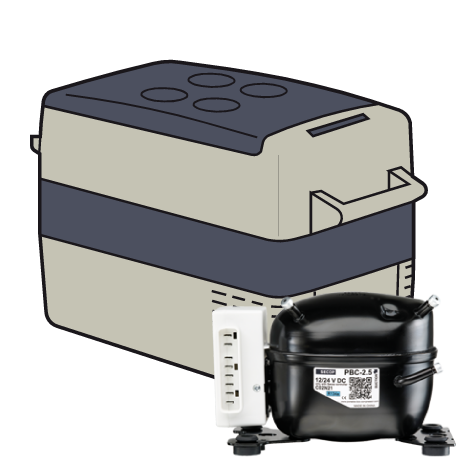 The compressors operate with electronic as well as standard mechanical thermostats. A switch in the power supply cables can be mounted to eliminate standby power consumption. Moreover, the compressors have internal voltage detection and calibration to the applied voltage. An electronic unit including protection against overload and destructive battery discharge controls the compressors. 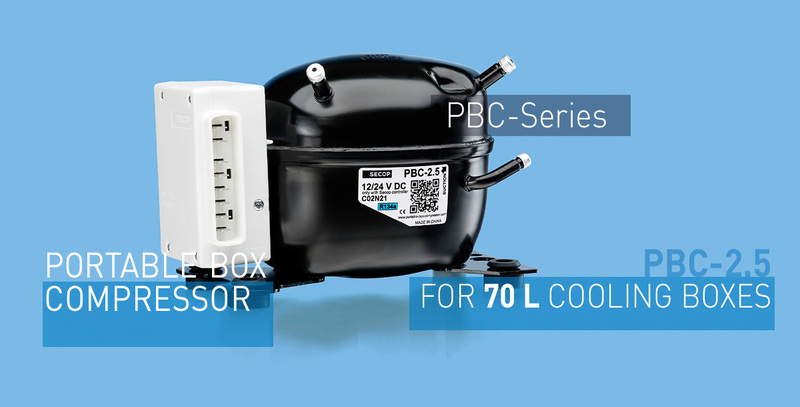 The fixed speed PBC-1.4 compressor is 60% smaller than the PBC-2.0/2.5 models and weighs only 2.1 kilograms. Its electronic unit supports an electronic thermostat, which provides an accurate temperature while the failure detection allows prompt fault diagnosis. Low weight ► 2.1 kg for PBC-1.4; 4.3 kg for PBC-2.0 & PBC-2.5 makes it easy to carry. Small and compact ► 60 % less volume on PBC-1.4 compared to PBC-2.0/2.5. Increase net volume of the box. Silent operation ► No disturbance by a noisy compressor. High efficiency. Low current consumption ► Energy savings. Less battery capacity needed to keep the goods cooled. 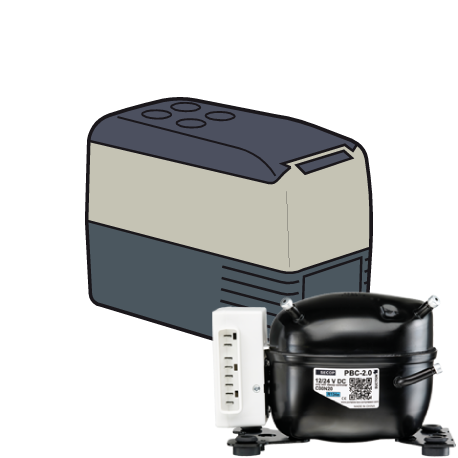 Variable speed / capacity ► Energy savings. 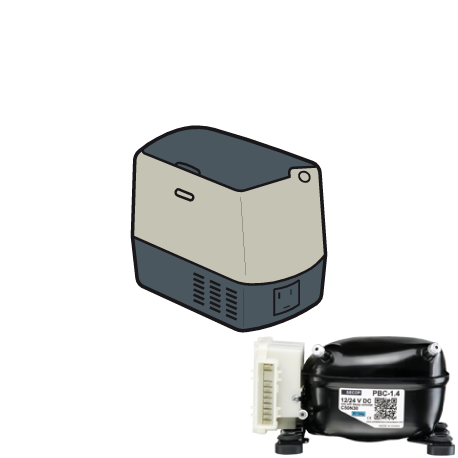 Adapt speed to cooling requirement (PBC-2.0/2.5). Direct 12/24 V DC power supply ► Same compressor can be used globally. One product covers the world. Electronic thermostat (PBC-1.4 only) ► Cost savings. No extra thermostat needed. Less components and failure modes. Advanced battery protection function ► Safety. The battery will never be drained. Safe start every time. Copyright © 2017 Nidec Global Appliance Germany GmbH. All rights reserved.